From Ballast Point's fishy logos to Stillwater Artisanal's psychedelic labels, here’s how 18 craft breweries have rebranded themselves in recent years. With the craft-beer market showing no signs of slowing down and shelf space at a premium across nearly every aisle, there's no denying how important graphic design is these days. Compelling packaging is so crucial to a brewery's growth, in fact, that the industry's old and new guard seem to be in a steady race of rebranding themselves. "A lot of what originally drew drinkers into craft beer was packaging that screamed personality," says Adam Lilly, Goose Island's vice president of marketing. "Now with nearly 7,000 breweries across the country, there’s a lot of personalities screaming at once. It’s hard to focus. Simple aesthetics are more alluring—and premium—now than ever, and help keep focus on what’s in the package rather than what’s on it." "There’s been such an influx of new brands that’s it tough for anyone to stand out," adds Steve McKeown, associate creative director at the ad/marketing agency Brokaw Inc. "You can almost see packaging trends happening in real time on the shelves." And they’re not the only ones. Everywhere you look, it seems that breweries are turning bottle shops into gallery spaces. Here's the story behind Highland Brewing’s reboot, along with 17 other craft-beer creations that look as good as they taste. "Highland was ready for a big change," explains the creative agency's founder, Christian Helms, "but it was important for us to honor the brewery’s legacy. They literally started the craft beer movement in North Carolina!" After several rounds of surveys and market research, Helms submitted four different redesigns and wasn't surprised to see the one that resonated: a striking line of multi-colored mountain ranges—modeled after North Carolina's magnificent skyline—and a logo that combined a sleek compass with a clean "H" symbol. "Bold color and strong iconography helps the brand connect with consumers and communicate something meaningful," says Helms. "That authenticity is so important for a brand like Highland; they walk the walk and stand for something special. I’m overjoyed to have helped them reclaim it." 2 of 18 Courtesy of Ballast Point Brewing Co.
"Visibility is key in the increasingly crowded craft beer world," says John Ball, creative director at the MiresBall agency. "But if you take it too far, that quest can actually water down your design. You strike the right balance when you unite bold design with authentic brand expression." There's that word again: authenticity, an issue MiresBall tackled head-on when Ballast Point was looking to expand its national footprint in 2011. Embracing an evolutionary look—punched-up packaging with real staying power, rather than a full-on reboot—didn't just drive sales, either. It was part of what led to Constellation Brands' billion-dollar acquisition of what had long been a cult favorite among hops addicts. "Consistency is key in building a brand," explains Dylan Jones, the designer that led the charge at MiresBall and later joined Ballast Point full-time. "We're aware that Ballast Point is still a relatively new brand—one we're constantly introducing to consumers." To strike a delicate balance between attracting newbies and pleasing anyone who's supported the San Diego staple since the very beginning (1996), Ballast Point now has three clear lines of products: A Discovery Series that's light on the alcohol levels and aggressive flavors, a Flagship Series of "complex but beautifully balanced IPAs," and an Explorer Series "for the beer nerd at heart." "The Discovery Series is the furthest we've strayed from our original look and feel," says Jones. "That was intentional. The use of bold colors and hard geometric shapes (inspired by nautical flags) helped set it apart on the shelf. We are still in the process of fine-tuning this graphic language, but it has been making a great impact thus far." While its name may sound like it was skimmed from a South Park script, Belching Beaver didn't want Tyler Soule to lose its cartoonish sense of humor during a redesign last year. He merely went for a modern look that played up the bubbles on its blotto mascot and clearly outlined different styles of beer with color-coded bottles and a bold sans-serif font. "I also designed the beaver to look as if it was popping out of the label with his arms raised, holding a beer," explains Soule. "Belching Beaver is about having a good time and not taking yourself (or beer) too seriously; I think our current branding does a good job with conveying this." Much like Ballast Point, Breckenridge Brewery is a solid old-schooler that managed to convince a major corporation (Anheuser-Busch InBev) to pony up cold, hard cash for its craft offerings. Calls for a too-cool-for-school boycott were swiftly brushed aside, however, by a VSA Partners campaign that put an emphasis on BB's Rocky Mountain roots and cranked-up iconography (sugar skulls and crescent moons, oh my!). "The client knew exactly what they stood for and where they wanted the new designs to take them," explains Josh Witherspoon, an associate creative director at VSA. "It felt like we were designing the packaging with a friend, which isn't something you come by every day." Founded in 2011 by Ryan Krill and Chris Henke, Cape May Brewing Co. quickly proved there's more to the Jersey Shore than a steady regiment of GTL. Their labels lacked a certain je ne sais quo, though, so Austin's Canales & Co. was tapped in 2017 to create a completely new look—one as colorful as the coast's Victorian-era vacation homes and "Surfin USA" vibes. Even their logo appears to come alive, with a wavy font and fluid crown of seagulls. "Not only does the new branding capture who we are as a company," Krill and Henke explained over email, "but the consistent use of pattern and color give our fans confidence that they’re getting a top-notch, quality product. It creates an expectation, and the beer inside exceeds it." When Cascade's marketing department first met the folks at Murmur Creative, it didn't take long for them to let go of their ideas and toss the drawing board straight out the window. Or as the brewery's own Tim Larrance put it, "We were pretty well set on what we wanted with regard to a particular look and feel, but [Murmur] opened our eyes to a whole new direction. After seeing their concepts, we completely ditched our previous ideas and let Murmur take control." With the keys to Cascade's visual cues firmly in hand, Andrew Bolton's team set out to create a top-down tribute to the role it's played in Portland's rich beer culture for the past 20 years. "Because Cascade Brewing pioneered sour beer in the Northwest," explains Bolton, "we wanted the design to reflect that. We used the oak barrel, tap, and spigot to reference their respect for the tradition of sour beer making, and the packaging references historical shipping labels making the connection to Portland as a port town." And to show just how far craft beer has come among discerning consumers? A bottle shape and size once reserved for wine shops. "It's true," says Erin Rankin, Deschutes' associate marketing manager. "With 6,000 breweries in the United States, standing out among the sea of sameness can be a challenge. Consumers face so many options that packaging has to be prominent or it will get lost in the chasm." 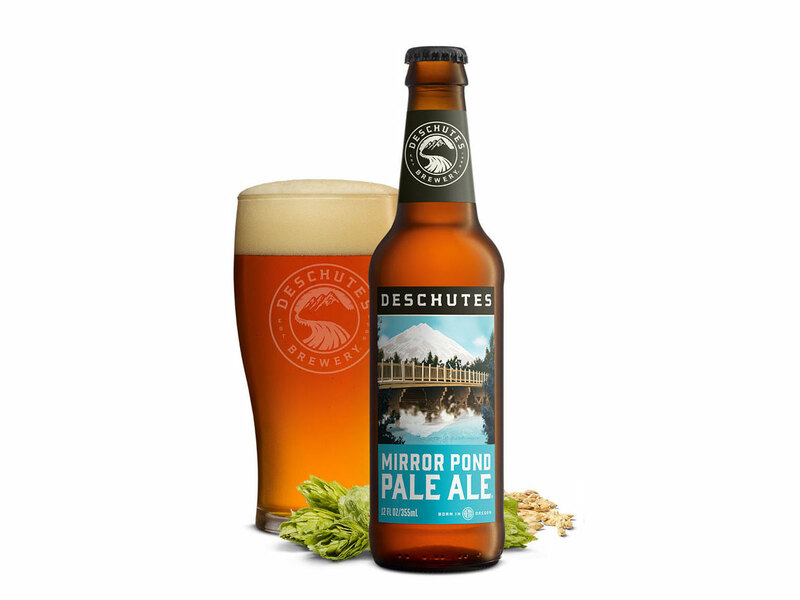 Between their strong sales numbers and storied history—a tale that can be traced all the way back to a Bend, Oregon brewpub nearly 30 years ago—Deschutes' main concern isn't bringing in new customers, though. It's keeping the lifelong Mirror Pond Pale Ale lovers happy. That may explain why an initial rebranding effort by a Portland-based graphic design collective (Makelike) and ad agency (North) was refined even further by an in-house creative team in 2015. "They work very closely with our brewers to discover the story behind their beer," explains associate marketing manager Erin Rankin. 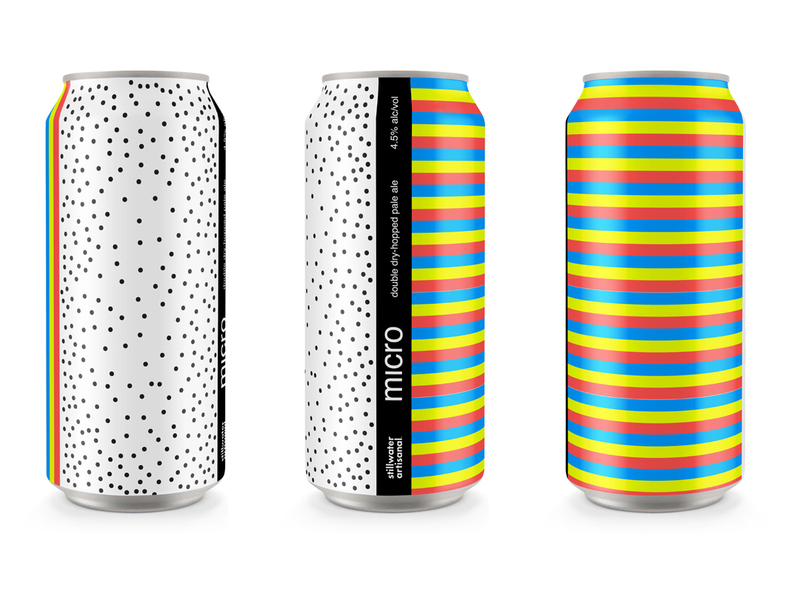 "We want to evoke the expectation of what customers will be drinking through the illustration and color. Fresh Squeezed [IPA] is a great example—an iconic illustration that delivers the juiciness and freshness of the beer that’s inside." He continues, "That’s when I decided to take a different route. Since customers make their decisions in a split second, my goal was to create a cohesive look that was instantly recognizable as DESTIHL and gave the buyer all the information they need at a glance." Chief among those choices were a core line of stripped-down cans, a closely related (and universally acclaimed) Wild Sour series, and an unholy trinity of Deadhead IPAs that are even more experimental. "Unlike drinkers of big beer like Bud and Miller," says Christy, "craft beer buyers are very promiscuous. They love to try new beers all the time. My job is to make people to pick ours up and once they do that, we’re confident they’ll come back and try our other offerings." When The New York Times asked Milton Glaser to review craft-beer art four years ago, the graphic design god didn't mince words. Frankly, he despised most of it. Speaking about Dogfish Head's seminal 90 Minute Imperial IPA, for instance, Glaser said, "The surface of this is so unpleasant. It sort of looks lumpy, like food that has gone bad. To me, this is antithetical to the idea of refreshing taste." If only he'd seen the same bottle two years later (and its subsequent, even more impressive can version), when Dogfish shed its indistinct labels for an Interact Boulder rollout that put its prime ingredients—from juicy hops to freshly squeezed and peeled limes—front and center. "We wanted to create some uniformity across our portfolio without falling into the trap of being predictable and sterile," says founder Sam Calagione. "The range of our packaging is only rivaled by the diversity of ingredients in our recipes—what's inside the bottle, truly unique beers centered around culinary ingredients." 10 of 18 Courtesy of Falls City Brewing Co. They may be regretting the move now that President Trump is promising hefty tariff hikes on imported aluminum, but Falls City Brewing Company switched over to cans last fall because it keeps beer fresher and is far more recyclable than bottles. According to general manager Drew Johnson, the push also came with a complete refresh coordinated between marketing manager Brian U'Sellis and his former colleague, graphic designer Brad Howard. "They came up with a style and concept that encompasses the personality of Falls City, and the people that work here," explains Howard. "The logos are all different, and modeled after old military patches, but they still look like a family when they're on a shelf together." Falls City also reinforced its rich Louisville history—while it didn't start distributing packaged beer until 2010, the brewery was actually founded in 1905—with a simple yet effective slogan: "Our city, your beer." Now that the old rules about six packs and bottle sizes have been cast aside by craft breweries, Chicago's Goose Island Beer Co. feels as motivated as ever to play with different packaging formats. In fact, it's something they started doing four years ago, when Goose Island announced an initial advertising, branding and packaging collaboration with VSA Partners. Nitpickers will say it doesn't hurt to have millions in Anheuser-Busch InBev money backing your every move, but at least Goose Island's founders have a sense of humor (they recently 'pitched' their corporate overlords on a potential Super Bowl ad) and a real plan in mind. The latter will be executed by a newly hired creative team from CP+B and president Todd Ahsmann, who asked the agency to "help us translate a 30-year craft brewing legacy into big ideas that are relevant and disruptive." "We totally have an open mind," says the company's VP of marketing, Adam Lilly. "There's no right or wrong anymore. It’s not enough to update your brand's aesthetics at a snail’s pace. We’re super passionate about creativity, and so are our beer drinkers, so it’s a fun time to experiment." 12 of 18 Courtesy of Great Lakes® Brewing Co.
Ohio's first brewpub has been around for nearly 30 years—long enough for Great Lakes Brewing Co. to build a considerable following that likes the way it looks. Keeping that under consideration while still managing to push its packaging forward, Brokaw Inc. approaches its rebrand efforts "as more of an evolution than a complete overhaul." "Our challenge was to build consistency across all beers," explains associate creative director Steve McKeown, "while enhancing the rich stories unique to each one…. Ultimately, we maintained the classic style and wit the brand has always been known for, and paired it with a more cohesive, contemporary look." Not too contemporary, though. The way McKeown sees it, "We were careful to avoid feeling trendy with Great Lakes. We wanted the new packaging to both reflect the history that the brand’s developed and have a good amount of longevity as well." "When every brewer is shouting to be heard," says Diarmid Scott, Innis & Gunn's in-house designer, "the shelf is a wash of shouting color and illustrations. In isolation, there are some amazing designs, but it can be hard for the consumer to navigate." To keep that from happening to Innis & Gunn on the cusp of its 15th anniversary, the Edinburgh-based brewery spent the past year redeveloping "the pure visual DNA of the brand" with "quality print techniques, contemporary color schemes, and bold graphics." Take Blood Red Sky, for instance, a Scottish red beer aged in Jamaican rum barrels. According to Scott, "the red foil tint reflects the beer style; the stencil typeface reflects barrel ageing; and the name reflects both the beer style and the skies of the Caribbean, where our barrels are sourced. As recipes and stories evolve, the packaging design must reflect all of it." Jack Liakas has fond memories of the first time he spotted a Sixpoint four-pack at a Brooklyn bodega. "I remember thinking, 'daaaaamn! '," he says. "I’d never seen beer packaging like it before—super clean, bold colors, and that billboard effect. It went against all the design trends of the time, which were very much in a distressed or homemade look…. I also loved how the UPC turned into the NYC skyline. UPCs before then sucked, but Sixpoint somehow made them cool." Now that cans far outnumber bottles in the craft beer community, it's hard to think of a time where hop heads equated the former with crap beer. But that's exactly the sort of pushback Sixpoint had to deal with when they went that route in 2011. "They started calling them 'nanokegs' to help consumers understand the value of cans," says Liakas. "I thought it was a great perspective and it actually lead me to start drinking the beers while I was in college." Now that he's actually part of the company, Liakas has come to treat his Sixpoint designs as "ever-evolving entities," from its familiar core flavors to badgeless small-batch releases that "rely heavily on my illustrations and tattoo/Americana influence." "We just completed a large packaging refresh to further amplify the personality of the beer," says Liakas, "which is constantly being tweaked to get the best taste and aroma possible. The custom hand-drawn type on Sweet Action is a perfect example of this. You have to stay hungry (and thirsty) in this industry and never rest on your laurels." Ask Todd Palmer why the craft beer industry has become design savvy in recent years and the Virtual Farm Creative president will insist things haven't changed a bit. "I think that your assessment is based on volume," he insists. "There are many more nicely designed examples today because there's a lot more on the market…. Great branding, clever names, brilliant packaging, and engaging marketing have always, and will always, accentuate the liquids inside." Fair enough, but what does that say about the paint that's still drying on Sly Fox's ongoing packaging refresh? "They had multiple goals," explains Palmer, "including reenergizing the brand, improving retail recognition, and evolving the image to be more competitive but also more current, organized, and consumer friendly…. The safe concept was a slight alteration of the existing brand; the approach selected was somewhere in the middle." One of the most drastic graphic design changes in craft beer has been the two distinct eras of Stillwater Artisanal. One of the world's first "gypsy brewers" (the most infamous of which has to be Mikkeller), Brian Strumke is a former house DJ/producer who founded his cult brewery "from nothing" in 2010. Working right alongside him during those Baltimore days was illustrator Lee Verzosa, who established Stillwater's original packaging—the kind of hand-drawn pieces you might find on the walls of a progressive tattoo parlor. Five years later, Strumke found himself in the heart of Brooklyn's Williamsburg neighborhood and in need of a new look that was much more minimal, psychedelic, and strange. "As Stillwater has always been a direct reflection of my life, it began to morph as I had. When I decided to make the artistic change, it wasn’t something I wanted to do; it was something I had to do. Mike Van Hall helped me redesign Stillwater in a way that better represented its current state. He continues, "I believe that people drink first with their eyes. Upon its inception, Stillwater was born as my personal art project; and from the beginning, the art adorning our beers was important. Aesthetic was the main motive, from the recipe to the container…. Stillwater is a living organism. We survive because we adapt. And art, design, and marketing plays a huge role in survival. Times change, and we just try to keep (or set) the pace." "We have just seconds to grab the attention of customers in the current sea of competitors," explains Jan Ratcliffe, the illustrator behind Tommyknocker Brewery's original 1994 launch and the Colorado vet's current move toward bolder can designs. "Changing your label generates interest and increases sales. Changing to a much better look brings even more interest and increased sales." To achieve this, Ratcliffe went with high contrast labels that emphasize bright colors and clear font treatments over the company's original Saturday morning cartoon aesthetic. "Because we have maintained our reputation for great beers," says Ratcliffe, "we wanted a consistent look to leave no doubt with our customers that they were buying a Tommyknocker beer. We also wanted to let them know—immediately—the most important aspects of our different brews." It's just the beginning, too. According to a story published last month in the local Denver weekly Westword, Tommyknocker is going to face a complete transformation in 2019. "How does a heritage brewery get noticed again?" head brewer Steve Indrehus asked writer Jonathan Shikes. "That's the question. You have to stay current with the new market. You can't respond to every trend, so you figure out what you can do well and move forward." With larger-than-life beer names like Troegenator, Nugget Nectar, and Mad Elf Grand Cru, it wouldn't have made sense for Harrisburg's beloved Tröegs Independent Brewing to suddenly go with a stark aesthetic. Chris and John Trogner took things slowly instead, tapping Philadelphia designer Lindsey Tweed for a couple seasonals (Hop Knife and Blizzard of Hops) in 2015, and ultimately loving her work so much the brothers hired Tweed for a long overdue reboot of their labels and logo. “The art shows our love of the process," explains John, "and, most importantly, our love of beer. The simple logos and hand-drawn fonts capture how we brew, and the artwork conveys what's inside the bottle." "One of the beauties of being an independent brewery is that we can take risks," adds Tröegs' VP of marketing, Jen Adams. "We need to have an eye on the future and strive to be among the breweries who have a say in 'what's next.' We feel we did our redesign at just the right time, and two years in, we're still really proud of it."